I love the fall months when chocolate cosmos are locally available in the Bay Area. Although they are not really "brown", they are as close as you can get, so it's a real treat when the color scheme includes brown. Check out these great pics from a wedding I did last month where I got to include these dainty flowers as well as some locally grown peach roses and white callas. 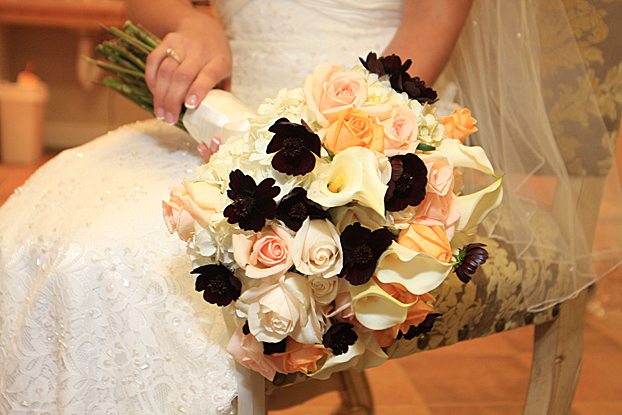 I used biodegradable cotton sateen ribbons and no floral foam of course! 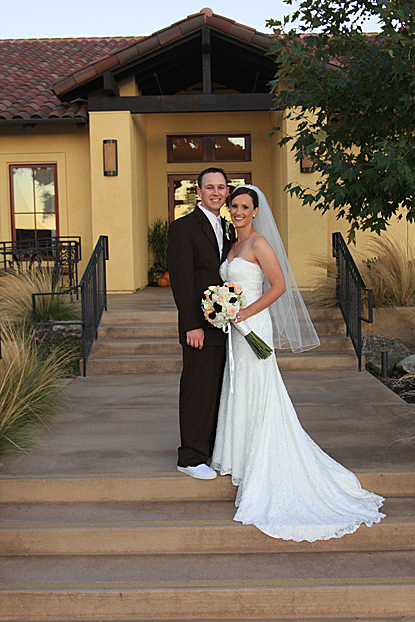 The bride and groom were so pleasant to work with, and really excited about their big day! Here the bride and bridesmaids are looking so cheerful. 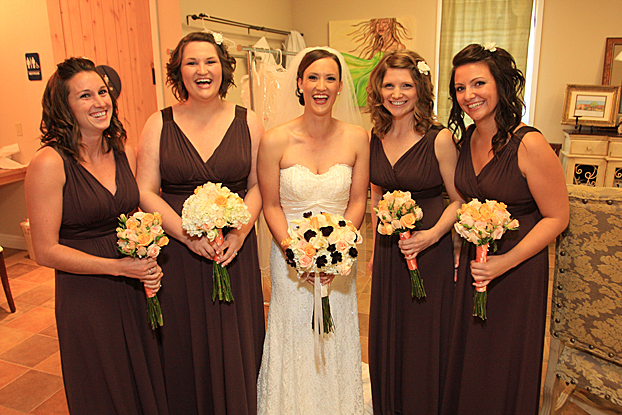 I love those long brown bridesmaid dresses. I couldn't decide which peach was better, the more orang-y peach or pink-y peach, so I added a little of both as well as some really light peach-ish white roses. 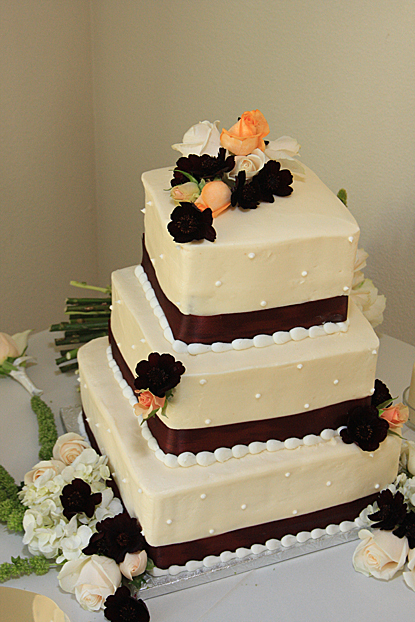 Here's the cake, that had cream frosting that went perfectly well with my peachish white roses. There's the extra boutonniere and throw bouquet I made for the bride and groom... boutonnieres rarely make it through a full wedding and reception full of congratulatory hugs.